A reader asked me for some tips on starting a home craft business. She wanted to know, in general, how to get started. Once I finished writing my response, I realized that there was a lot of information in my answer that other readers could benefit from, so I decided to post my response. Below you'll find the reader's question (edited a bit), and my response. Thank you so much for starting this site. I am now 60 (when did this happen):) but at any rate no one wants to hire their mother or grandmother to work for them (except maybe to babysit). I love beading and jewelry making and thank God I came across this site. I have boxes and boxes of beads, fabric, etc. in my bedroom, and it's making me crazy. I want to use this hobby as a new business opportunity. How can I organize myself and get started? God Bless you for sharing this site and your experience. Thank you for your email, and your kind words. I'm glad you are finding the information about starting a home craft business on my site helpful. Before my kids were born, I ran job search workshops, so I know that after you reach a certain age, it can become more difficult to find a traditional job, and some people do experience age discrimination. It's certainly not impossible to find work, but age can be a factor. I also know that traditional jobs are not the best fit for everyone, so someone who might be semi-retired, but still needs or wants to bring in some additional income, or someone like me, who has little kids and wants to work from home, can find that self employment is a better fit than working at a traditional job. Your question about starting a home craft business is a broad question, so I hope I cover the kind of information you are looking for in my answer. I would say, when you are in the early stages of starting a home craft business (or any business for that matter), it is important to know yourself (your strengths and weaknesses), to examine your expectations, to research other craft businesses, to make some specific decisions about the type of craft business you want to start, and to research the resources that are available to you in your community. It is important to be very honest with yourself and develop a good understanding of your strengths and weaknesses and your work preferences. If you are going to create a business that is profitable and makes you happy, you need to play to your strengths. Examining your strengths and weaknesses may include looking at what business related skills you already have, and which ones you will need to develop or outsource. For example, I'm good with money management, so I use my own financial software to track my business finances, but I use an accountant for dealing with my taxes since I'm not an expert on business tax laws. Determine what you can do on your own, and what you need to learn about or get outside help with (if necessary). If you decide you need to get outside help, just be careful about expenses, they can add up quickly. Also take a little time to think about the way you tend to work. If you understand your work preferences and tendencies, you'll be able to make smart choices about starting a home craft business and avoid certain mistakes. For example, I know myself well enough to know that I have a bad habit of taking on too much at once. I find so many things interesting, I just want to dive in to ten different projects, when really, I probably only have time to manage three or four different projects. I have to actively limit my projects so I don't spread myself too thin. You may not have the same weakness, but you probably have certain tendencies that you will need to manage to ensure your success. Make sure you have realistic expectations for starting a home craft business, particularly when it comes to the money it takes to get a business started and the time it takes to become profitable. You will hear this advice over and over in self employment resources, but it is crucial, and a lot of people starting a business underestimate the cost to get started and overestimate the time to become profitable. For the most part, self employment won't solve immediate money problems. If you need money immediately, self employment rarely brings in money immediately, but if you are able to spend time working on something that is not immediately profitable but has a good future, it can be very rewarding. Take some time to research other craft artists. Go to craft shows or studio tours, and talk to people as much as you can. This can be a bit tricky if people see you as competition, but if you try to talk to people who wouldn't be your direct competitors (i.e. people who make items different from yours) you may find it easier to get information. Take a look at the list of vendors at shows in your area. Find the people in your category (so if you make jewelry, look for the jewelry artists) and see if they have websites. When you check out their websites, you can get an idea of how much they are charging for their items, and see how your items compare. Also, if you think you might want to do some craft shows, you can look for a list of shows they are attending; that can help you find the more popular shows in your area. Be really honest with yourself about how well your items compare with your competitors' and try to ensure there is something special about your items that make them stand out from the crowd. A craft business can take a lot of forms. The most obvious is selling your handmade items on a retail basis at home parties, shows, etc. However, if you like working with people, you might enjoy teaching your craft, or if you enjoy the designing process more than production, you may enjoy developing instructions for projects which you could sell. Even selling retail can take on different forms, you may really enjoy the production process and sell a lot of mid-priced items, or you may prefer the design process and decide to sell higher end custom made items, so you make fewer items but have a higher profit per item. If you know yourself, you can shape your business to suit your strengths and preferences. Many business books will tell you that you shouldn't try to be all things to all people; instead focus on becoming known for doing a specific thing extremely well. I believe this is good advice. You may find some very good and free or inexpensive business resources in your community. Be sure to do a little research to see what is available to you. If you have a local business development office, they may be extremely helpful in providing you with information you need about starting a home craft business. I specifically make a point of not giving tips about business regulations because they are different for different locations. I'm not an expert on business regulations, and I am a firm believer in going straight to the source when you are looking for this type of information. Look for your local business development office (or check your Chamber of Commerce or your library if you can't find a business development office), and they can help you will all of that information. Your business development office or Chamber of Commerce may also offer free or inexpensive courses on different aspects of running a business. These courses can be very helpful. Also, you mentioned you were not working. I don't know if you were laid off recently, but if you were, you may be eligible for government programs to support your business. These programs do not exist everywhere (I am writing from Canada, where we do have these programs; I don't know where you are from, so you'll need to check locally). If you have an employment resource center in your area, you can check with them, and they can tell you whether there are any government programs that support new businesses and whether you are eligible. I hope this information isn't too overwhelming. I realize I have included a lot of suggestions; these are all either things I am grateful I did, or things I wish I had done when I started my own business. Honestly, you do not have to make things too complicated when starting a home craft business. If you want to, you could simply jump in with a few low cost, low risk sales venues, and then develop from there. 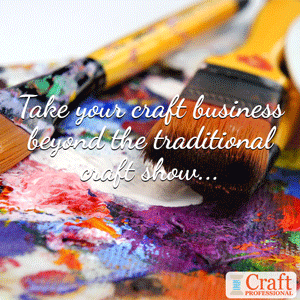 I personally find home parties to be an excellent option for starting a home craft business. 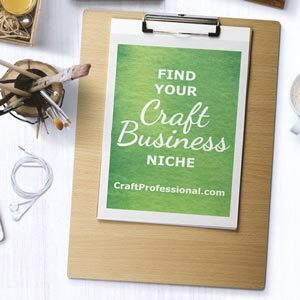 They don't require a lot of money to do (you don't need to pay booth fees or build huge displays like you do for craft shows), and they can be a great way to get the word out, make some money quickly, and get an idea of how people react to your products. Another low cost, low risk way to get going is to simply promote yourself by word of mouth. Think about the groups of people you interact with to look for ways to build some word of mouth. For example, my friend recently launched a home based business, and she uses Facebook to promote her business. I haven't done this myself (it's on the to do list), but I have seen my friend's business grow very quickly simply by promoting herself by word of mouth. I hope that answers your question about starting a home craft business. All the best wishes for your success with your new venture. 19 types of craft businesses to start. 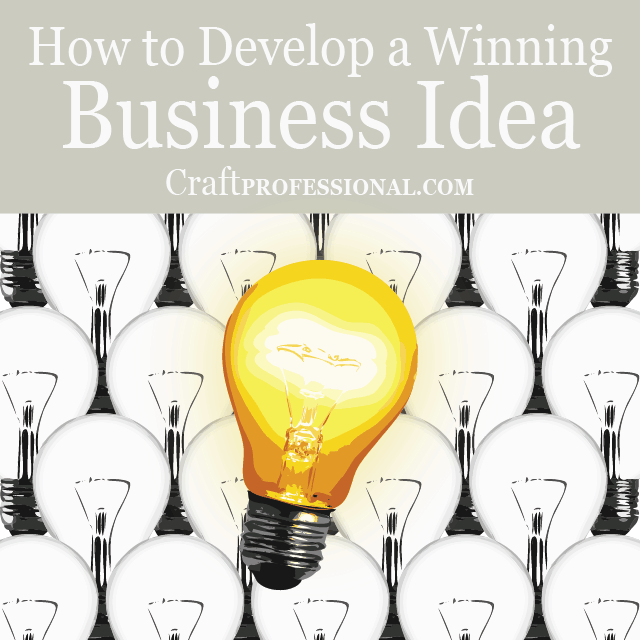 Assess your business ideas to develop one with real promise. Find the right niche for your business.